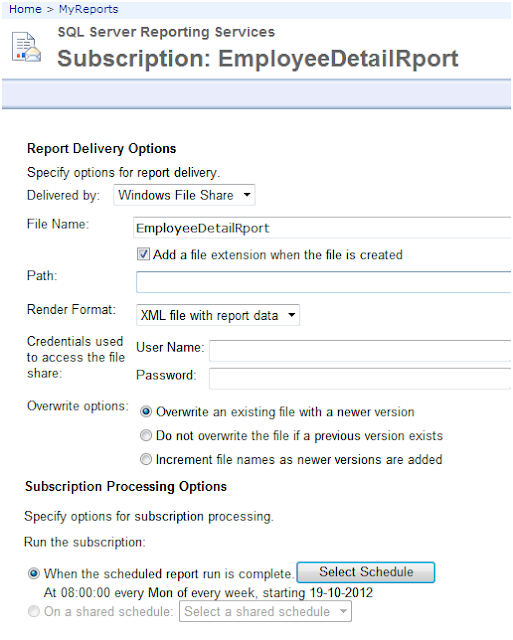 The purpose of this article is to describe how to create a file share subscription for a report using SQL Server Reporting services. 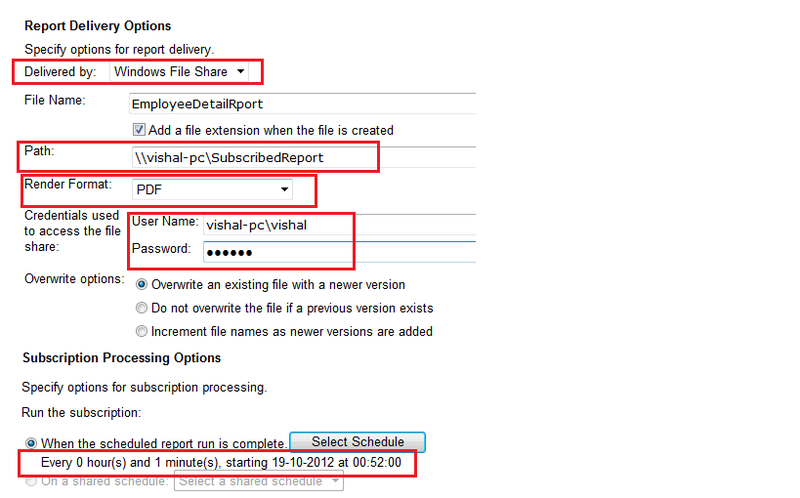 By using File share subscription, we can deliver a report to a folder at a specific point of time in a required format. · Service account that is using for file share subscription should have write access to shared folder. 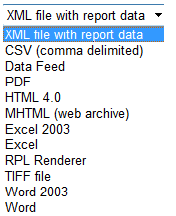 · Users who will use these reports must have read only access to the shared folder. i. 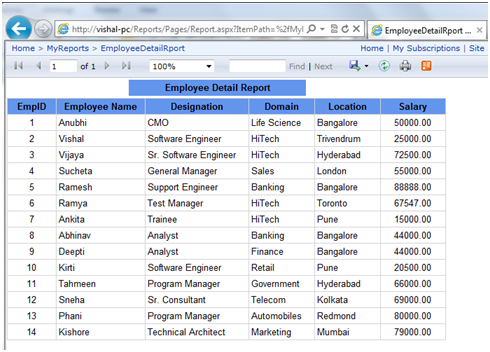 Go to Report Manager URL e.g (http://vishal-pc/reports ). 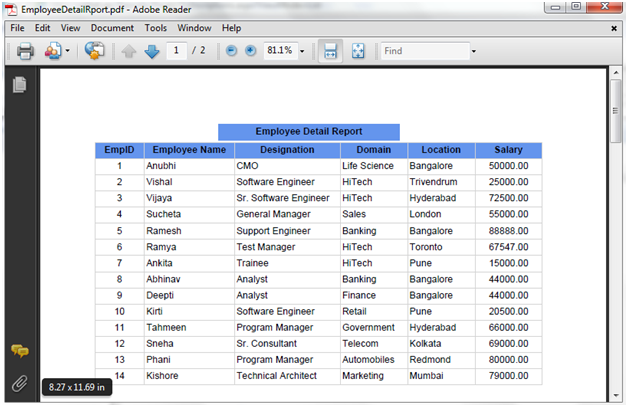 Below is the screenshot of Report Manager which is showing Data Source, Dataset and Report folder. iii. Run the report to ensure that report is working fine. Report is working fine so we can go ahead for subscription. v. It will open the Subscription page for the report. Select the Delivery By as “Windows File Share”. vi. Fill the information for below mentioned fields required for subscription. · Credentials used to access the file share: Pass the UserName and password of a user who will access the reports. · Subscription Processing option: for Selecting the schedule for subscription. viii. Click ok to create subscription. ix. To Check whether subscription is created or not, go to Report Manager home page and click on “My Subscription”. xi. We have created subscription to run every minute for demo purpose only. We can schedule the report as per requirement. So let’s see whether subscription worked successfully or not. To check whether a subscription working successfully or not, again click on “My Subscription”. It will show the subscription execution details. 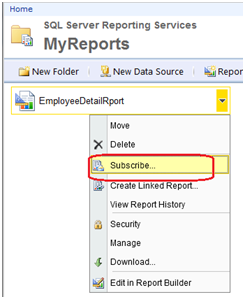 Subscription status: Report is delivered in Pdf format in shared folder. xiii. Open the pdf file and check whether report delivered properly or not. 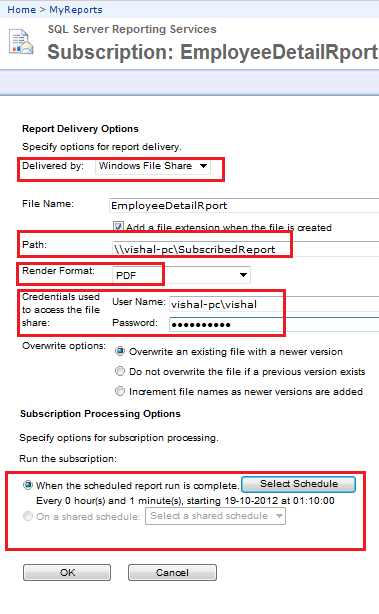 By using file share subscription, we can deliver SSRS report in folder at a specific point of time in a required format.